To view this video in HD on YouTube click HERE. Half Double Crochet (hdc): Yarn over the hook, insert your hook into the specified stitch; yarn over the hook and pull up 1 loop. You now have 3 loops on the hook. 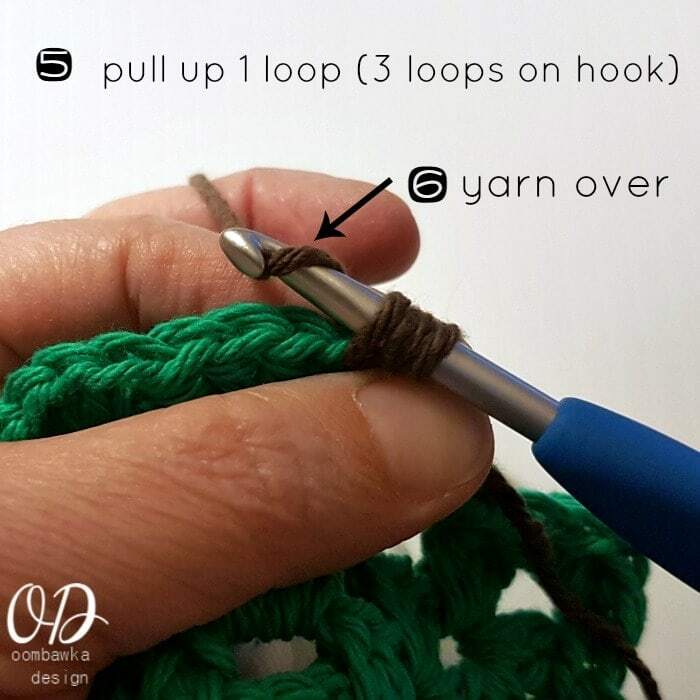 Yarn over the hook and draw through all three loops on the hook. 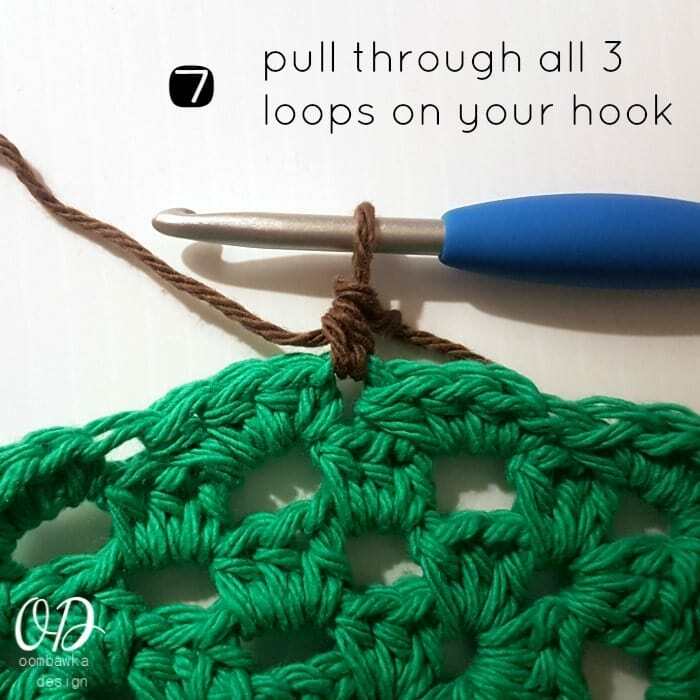 Step 1: Put a slip knot on your crochet hook. 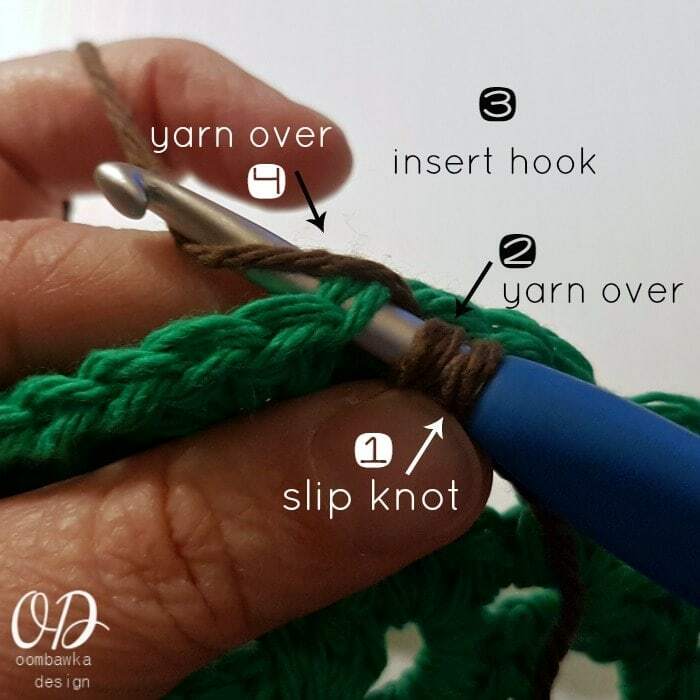 Step 2: Yarn over (hold this loop down with a finger so it doesn’t unwind) the hook. Step 3: Insert your hook into the specified stitch. Step 4: Yarn over the hook. Step 5: Pull up 1 loop. You now have 3 loops on your hook. Step 6: Yarn over the hook. 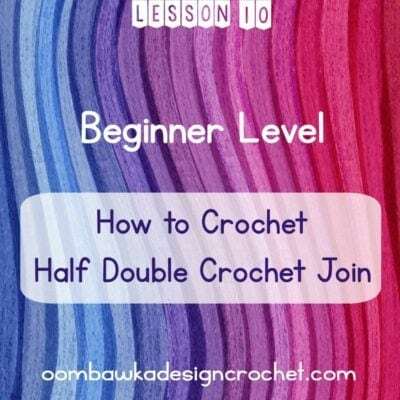 Step 7: Pull through all three loops on the stitch to finish the half double crochet.